Thanks to the vision, funds and a comittment to the late Sir Jack Brabham by Brett Murray, Jack's grandson, Matthew Brabham will compete in the 100th running of the Indianapolis 500 next year. Murray said he made a comittment to Sir Jack before he died, that he would do everything possible to help Matthew achieve his motorsport goals. 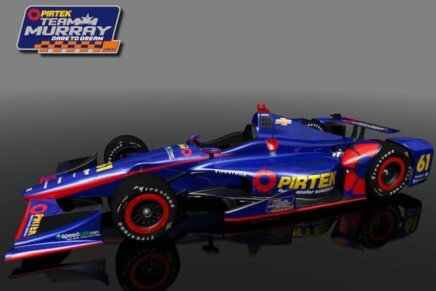 Thus Matt becomes the third member from the Brabham family, and two other motor racing family dynasties, to compete in the Indy 500. The other families, who fielded three generations each in the famous race, are the Vukovich and Andretti clans. 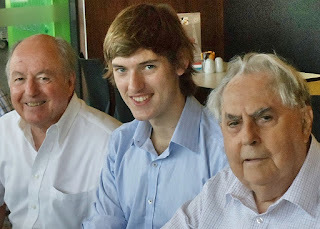 Jack was enormously proud of his grandson when we all lunched together back in May 2014. 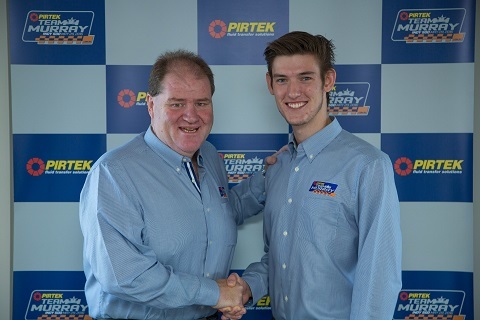 Jack told me he felt Matt may be the brightest young family member to emerge onto the world motor racing stage. "He's definately got what it takes." said our esteemed ambassador for Australian motor racing. However, stop for a moment and think about the committment required to give Matt a start at the Brickyard. Brett Murray (affectionately known as 'Crusher') has pulled together USD$1.5 million so far, mostly from Pirtek, to launch this bid. It will take a lot more between now and May 29, 2016. I take my hat off to Murray, because he has put it all on the line for our latest Brabham racer. Matt has also contributed much, in the form of his results so far, racing in the USA, but getting to Indy takes money, and lots of it. Let's hope there are quite a few Australians who will work with Brett Murray to give our boy a decent shot at competing at the highest level.